Provide your flock of chickens fresh water at all times. Water hydrates chickens and is necessary for optimum health, healthy eating, and egg laying. A mature chicken drinks one to two cups of water each day. 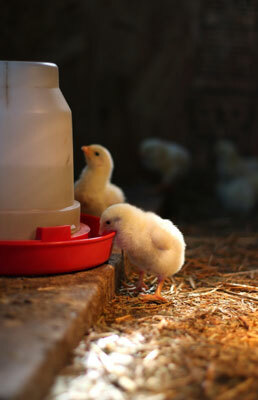 Other factors that determine their water intake include weather, temperature, whether or not the chickens are laying eggs, and their general health. Always provide at least two sources of water: one waterer inside the coop and one in the outside pen. Free-ranging chickens need a clean, fresh water source in the garden or access to their waterer located in the chicken coop. Provide a water source that covers at least a third of your flock drinking at the same time. Different types of water systems are available for chickens. The most common is the bell waterer, made out of plastic or metal, which comes in one- to five-gallon sizes. The one- to two-gallon size is easier to handle and is filled more often, keeping the water supply fresh and clean. Look for the bell waterer that has an indention in the handle for hanging with an S hook. This indention keeps the waterer in place. Keeping a water source at shoulder height for chickens helps keep their water clean from mud and manure. Your local feed store is the best source for your chicken feed. Chickens are continual feeders, and they live to eat. They eat to meet their energy needs. These energy needs are variable over the course of their lives, depending on their egg production, the climate they live in, and their general health. Start your pullets on a laying mash about a month before they’re expected to begin laying or at approximately 20 weeks of age. Laying formula can come in different textures of mash (fine), crumble, and pellets. Laying feed is a balanced complete formula with about 16 percent protein, calcium, and grit. Laying hens need a calcium supplement in their feed for strong eggshells. All chickens need some grit in their diets to grind up their food. Because chickens have no teeth, they rely on grit to grind up their food in their gizzards. Another plus for free-ranging your chickens is that they naturally pick up grit in their diet throughout the day. If you are feeding your chickens a whole-grain diet or pasturing them on a heavy grass diet, you will want to provide supplemental mineral grit and a source of calcium carbonate, such as crushed oyster shells. Another source of calcium is recycling eggshells from your hens. You can bake them in an oven at a low heat until they are thoroughly dried and with a baking pen crush them into very small pieces. At this point you can feed them back to your hens. Give your chickens access to their feed bucket all day. The feed bucket stays in the chicken coop or outside pen. If chickens are free-ranging, they can return to the coop for feed if they choose, but they’re usually satisfied foraging for their food in the garden. 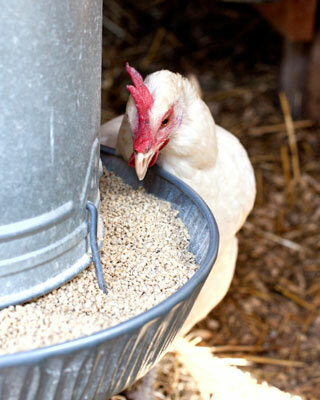 At night, take the feed bucket out of the coop and store it in a safe place, such as a storage shed. Treats are exciting for your chickens — something that breaks up their day. Breads and starches: Examples include rolls, pancakes, plain cooked pasta, tortillas, cooked oatmeal, and dry cereals low in sugar. Crickets and mealworms: You can find these treats at feed stores. Cut-up fruits: Try sliced apples, fresh cranberries, figs, grapes, melons, peaches, strawberries, and watermelons. 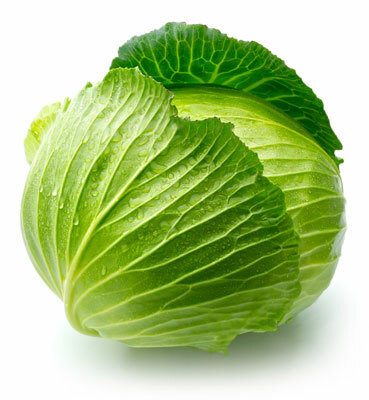 Greens: Chickens like lettuce of all types, sorrel, kale, Swiss chard, cabbage, and wheatgrass. Plain yogurt and kefir: These foods aid in digestion, are a good calcium source, and discourage egg eating. Sunflower seeds: Raw sunflower seeds can be dried as a whole head or with the seeds separated. Never feed salted and processed sunflower seeds. Vegetables: Corn on the cob, cucumber, cooked potatoes, steamed squash, and pumpkin are all good choices.